In the Doc McStuffins Appisode featuring “Doc Goes McMobile & Frida Fairy Flies Again” preschoolers experience the magic of watching, playing, and interacting directly with their favorite Disney Junior TV show in a whole new way! They will touch, tap, swipe, tilt, shake and talk their way through an episode by watching and completing various fun-filled interactive activities. It’s a fully immersive interactive TV episode that reinforces developmental values. It’s time to check in with Doc McStuffins! 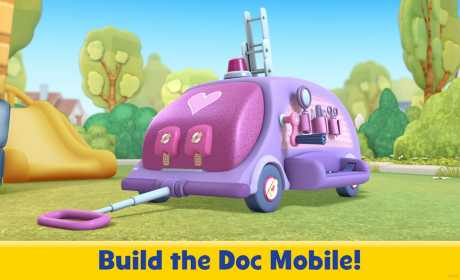 You’ll help build the DocMobile in Doc McStuffins Goes McMobile, then you’ll work side-by-side with Doc as she fixes a fallen fairy in Frida Fairy Flies Again! • Build the Doc Mobile and race back to the playground to save the day! 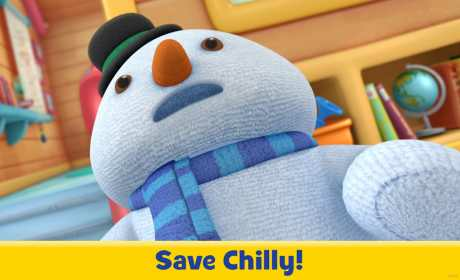 • Help Norton put the some spring in his step! • Help Doc diagnose the problem and help Frida fly again! • Interactive full-length Disney Junior Doc McStuffins TV episode. • Over 20 interactive activities featuring your favorite Disney Junior Doc McStuffins characters. • Available on Android devices. Downloading and playing this Appisode requires permission to record audio and access photos, media, and files on your device.